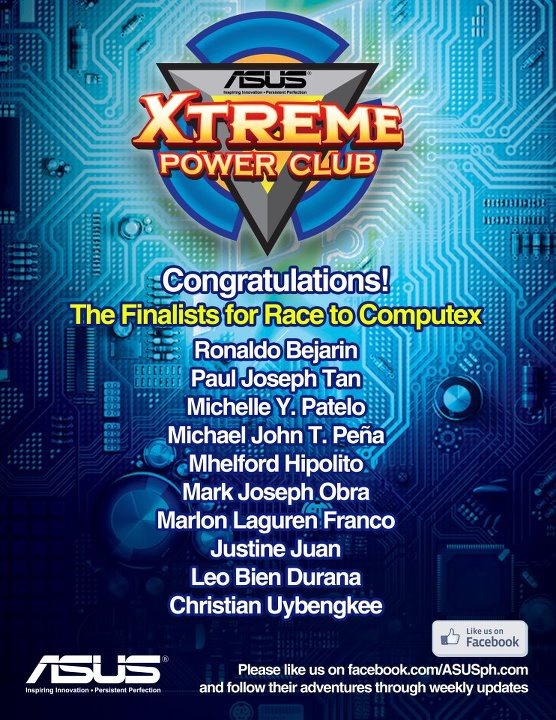 A number of local gamers / enthusiasts / modders and what-not has been selected and given a chance to accompany Asus Philippines’ team on their Computex delegation for this year (2012). Through some stroke of luck I was selected to participate. The challenge, as we’ve been told, will span three weeks beginning with the previous week of which this post is about. The challenge is a video introduction of one’s self showcasing him/her being a power user. As of now, the final day of posting the videos for the first challenge, there’s about 2 entries in the wild. There would be an expected flood of them later and it is interesting to find out how everyone is responding to the challenge in a different way. I will definitely be on the lookout for more interesting videos by the participants. Mine is about how I use this nifty little device Asus came out with and how it helps me by taking on the role of a workstation that is with me every time I’m out of the house. We’ve already been clued in to the challenge for next week, follow me and Asus Philippines page for updates. WD News: 500GBs for the Ultrabook Class!